No they blahdy weren’t – absolutely, definitely, not not not. Pale beers were being brewed long before IPA: millennia before IPA, probably. The sun-dried malt that was most likely one of the raw materials for Sumerian beer must have been very pale. Odd Nordland, the great Norwegian brewing historian, collected records of beer being made from sun-dried malt in Norway, in places like Rogaland, on the south-west coast, which “produced a very pale ale”. If you can make sun-dried pale malt in Rogaland, you can make it anywhere in Britain, and I find it almost inconceivable that pale ales weren’t being brewed with pale sun-dried malt from the moment the first brewers arrived in these islands, which was around 6,000 or so years ago. Now, sun-dried malt, particularly in not-so-sunny climates, is not going to be easy to make and probably wasn’t common: if you sun-dry sprouting wet grain you’re risking it going mouldy before it dries, or taking too long to dry and becoming useless to brew with. Very likely most malt in our northern lands was always dried using artificial heat. If you want something organic left dry, but pale, you’ve got to dry it slowly, over a low heat – think of trying to make pale toast. That’s not necessarily difficult with fires of wood, or straw, or furze, which is what pre-Industrial Revolution maltsters used, but then you have a smoke issue: the longer the time your green malt spends over the fire, the more smoke flavour it will pick up. Smoke flavour in ale was not what most people wanted, as commentators such as William Harrison in 1587 and William Ellis, author of the London and Country Brewer, first published in 1736, make clear. Mott, who was writing a history of coke making, says it was the demand for coke to dry malt, rather than to warm houses or make iron, that led to the rise of “merchant” coke-makers. “Parsons’s bub” – “bub” is strong drink – was probably a reference to Sir John Parsons, owner of the Red Lion brewery at St Katharine’s, near the Tower of London, later one of the great porter breweries, and the “Calve’s Head Club” was an association of radicals who met to celebrate the beheading of Charles I. Who Burges was I don’t know, although “tub” was an early 18th century slang term for a pulpit. But what’s this “Pale ale with Lime in’t”? Is this the earliest known reference to the twisted tastes that eventually led to Corona? Assuming that Poundage was remembering correctly, this means that pale ale was actually being brewed in London, alongside the brown beer that was on its way to becoming porter, as far back as 1714 or earlier, and it was being brewed in the countryside, at the homes of the “gentry”, before then. Certainly the making of pale malt appears to be widespread by the mid-18th century. The London brewer Michael Combrune An Essay on Brewing in 1758 gave a table that listed the different heats to get different colours of malt, from white, through cream, yellow, amber and “High Amber” to “Pale Brown”, “High Brown”, “Brown with Black Specks”, “Colour of Burnt Coffee”, and, finally, “Black”. Londoners were now definitely brewing the paler article as well as the porter the city had become famous for: the London Chronicle in 1762 said that “Mr Miller, Pale-beer brewer in Shoe-lane” (off Fleet Street) had been elected a common-councilman for the ward of Farringdon without. Morrice’s use of the expression “the London Pale Beer Brewery” underlines an often ignored fact. The capital’s brewing industry in the 18th and early 19th century was divided into three classes: a mass of a hundred or more small brewers, who seem to have brewed all kinds of ale and beer; a dozen or so specialist porter brewers, all brewing on a scale somewhere between large and enormous, which included the names we are familiar with today, such as Barclay Perkins, Truman and Whitbread; and eight or so specialist ale brewers, generally smaller than the porter brewers at the beginning of the 19th century, but larger than their other, (mostly?) undifferentiated competitors. These ale brewers seem to have sold their product mostly “mild”, that is unaged, and (this is the killer point) their ale was made entirely, or almost entirely, from pale malt. 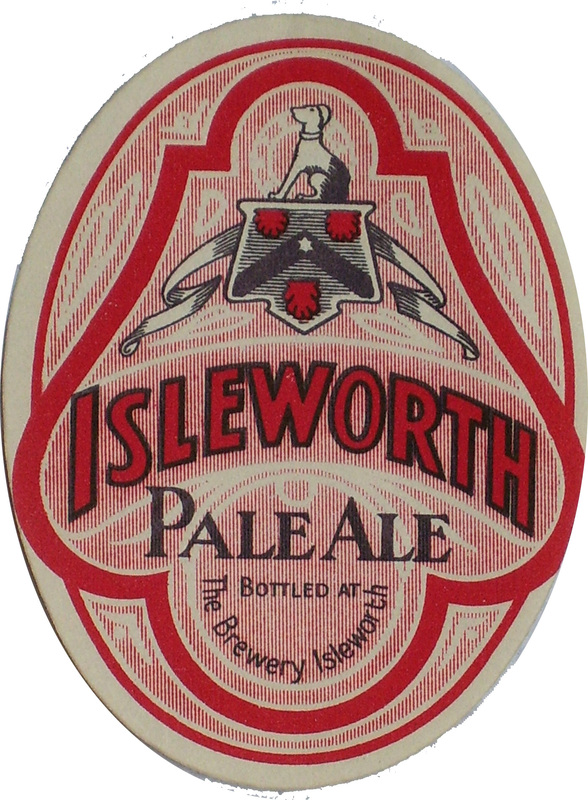 Pale ale was being brewed all over Great Britain, including Scotland and Wales, before the great rise in sales of Burton-brewed IPA. * A different man, evidently, to Dr Christopher Merret, 1614-1695, physician and writer on natural philosophy. Dr Merret, like John Houghton a Fellow of the Royal Society, has his place in the history of alcoholic drinks, however: he was the first person to describe how to make sparkling wine by inducing a secondary fermentation through adding sugar, in a paper to the Royal Society in 1662, more than 30 years ahead of the French. Well said. As a Derby boy, I’m used to biting my tongue when it comes to our neighbours’ claims. And those of Comrade Protz. Don’t bite your tongue. Speak out. That’s if you have anything substantial to back it up with in the first place. All very interesting, Martyn. I think the reference to lime and ale means pale ale brewed with hard water such as Burton has, water with gypsum (lime carbonate) content, that is. That water tends to promote the clarification of ale, which might have been one reason for the fame of the original Burton, in pre-finings days. In one of the Charles Knight pieces in the mid-1800’s, he speaks of adding lime to ale but it is unclear again what is meant, except he states also there was an old practice of adding lime to “sack” to ensure its clarity. In what form this lime was I do not know. I wonder if at some point at any rate people added lime fruit to beer for the same reason. I have no idea if the fruit called lime has lime carbonate in it or promotes clarity in beer. If it does, this may be why people added lime fruit to beer originally, which may have evolved the shandy-gaff and later lager-and-lime and bitter tops. By the time lime was added to lager, the original motivation was probably long forgotten but folk practices often have a habit of outliving their original raison d’etre. If lime fruit does not clarify beer, though, clearly it was added for another reason, perhaps by seamen on ships to ward off scurvy, and the habit transferred to taverns in ports and thence into English bar habit generally. I had a pet theory for a long time that lager-and-lime, which seems to have gotten going in the 1950’s, was a way initially to recall the estery taste of the disappearing real beers. However, I now think its origin must be related somehow to the idea that lime was beneficial to beer quality. But why did the author of the poem feel we should be “liberated” from quality pale ale? And evidently too from Parson’s brown or perhaps pale stout? Perhaps he was anti-drink, the poem is hard to understand indeed. Follow-up: there is no excuse for not reading up on the mineral lime, whose sulphates and carbonates inhabit the hard water of Burton and some other regions, so I did. It appears to have nothing in common with any of the citrus fruits which are acid-based, whereas calcium oxide and a number of related compounds are the basis of the mineral lime. Therefore, the addition of lime fruit to beer must have an origin other than the wish to render it clear. (Although perhaps people mistakenly in olden days added it to beer, thinking it had the same effect as the lime-water of Burton, due of course to sharing the same name). The scurvy origin seems most likely to me now, or perhaps lime came into beer by transference from punches – citrus originated in India, incidentally, and punch is a Hindi word I believe. Or maybe people just liked the taste, that is certainly possible..
I’m assuming this is in the US – someone really needs to tell them. Yep, big letters on my 12-bottle cases.